‘Air is not enough…’ gets a new look - black and white vintage feel like of an old photograph with touches of gold on the attire. All that glitters is not gold, though! 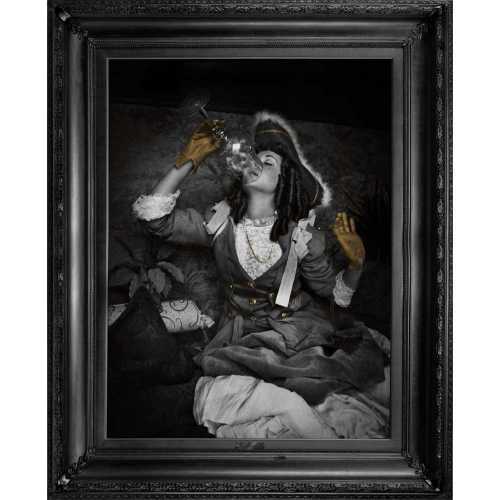 This beautiful print, reminiscent of classic Dutch Old Master paintings, is of a woman drinking from a large glass of purest swirling air. 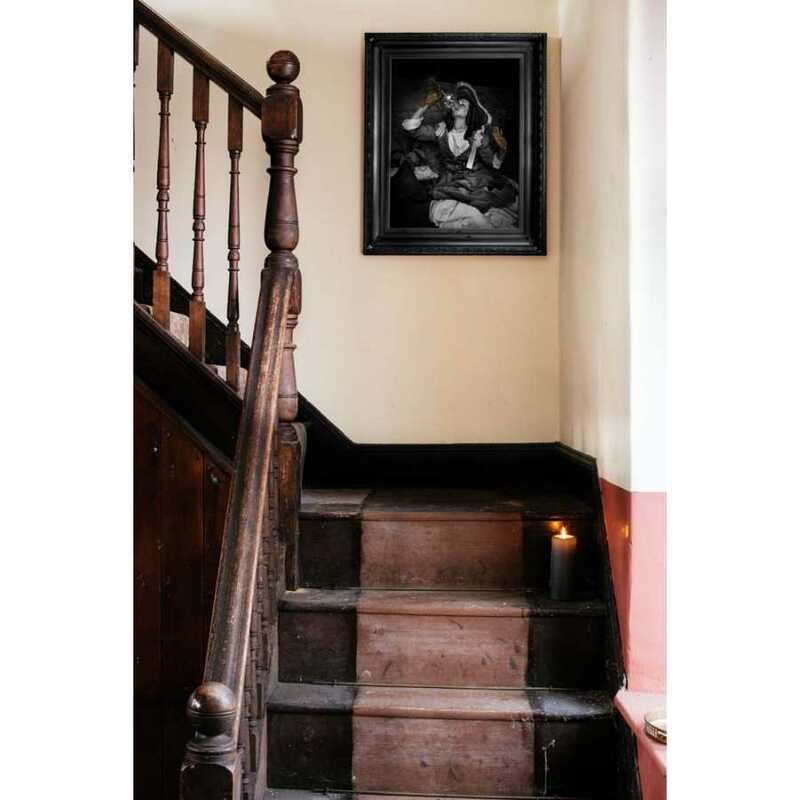 The ornate frame is not as it seems; in fact, it’s printed onto the canvas.